Body Mind And Spirit Balance Daniela’s New Course! Become An Affiliate And Make Money Now! MIND, BODY, SPIRIT: Learn Reiki, Shamanic Healing, Trance Healing! 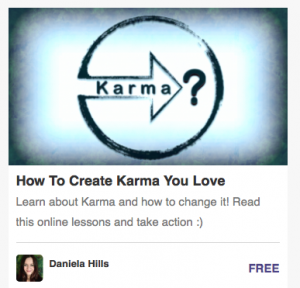 Get Rid Of Bad Karma: How To Create The Karma You Love! Can you really get rid of bad karma? Can it be life Changing? Daniela Hills thinks so. And she’s right! She’s been working on developing some amazing online courses for you to take for FREE! 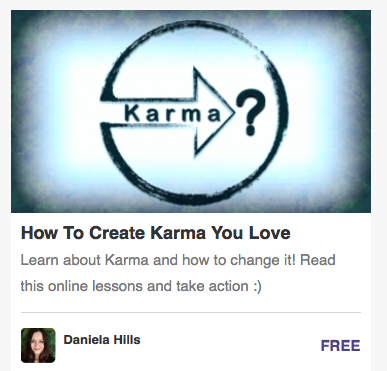 Daniela is my Guru, and let me tell you that I’ve taken all of her courses, and they work! Turning bad into good is a basic human desire. The secret to experiencing the best situations possible in your life, is to change the way you think. This is easier said then done. You can get rid of bad karma, but first you need to learn how. Anyone can do it. It’ll take a little practise, but Daniela will show you how. What are the benefits? Two FREE Mini Courses You’ll Love! 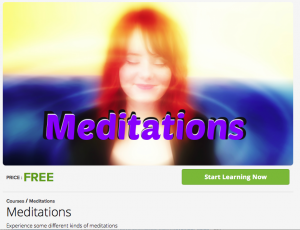 Get this FREE guided meditation course Now!